CRO113 DUBROVNIK villa ML Croatia colourfull villa | MONTENEGRO Villas 2019 rental UNIQUE Vacation for You !!! CRO113 DUBROVNIK villa ML Croatia colourfull villa – MONTENEGRO Villas 2019 rental UNIQUE Vacation for You !!! this Croatian villa with pool in Mlini offers relaxation far away from tourist noise but close enough to enjoy the beauties of this stunning town. Beautiful beaches of Mlini and charm of small Dalmatian place will make you come again and again to this charming Croaitan house Mlini. Croatian villa Mlini is distanced 600 m from the sea, but the swimming pool offers amazing sea view end green Elafiti islands. Dubrovnik area is rich with amazing mediteranian plants and green color is blending with the blue colors of sea and sky. 5 bedroom villa with pool Mlini can accommodate 8 persons. Entrance to the villa Mlini is trough covered terrace with barbecue and sitting garniture to fully equipped kitchen. Door leads to living room with dining area with a view to pool area. 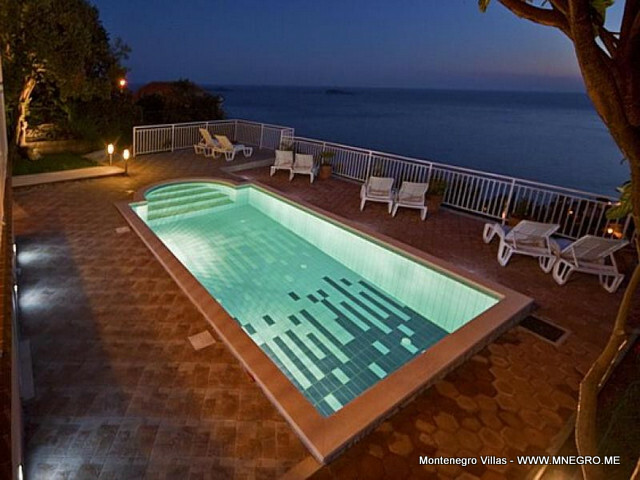 Double bedroom with bathroom is also on ground floor of this upbeat villa Mlini. 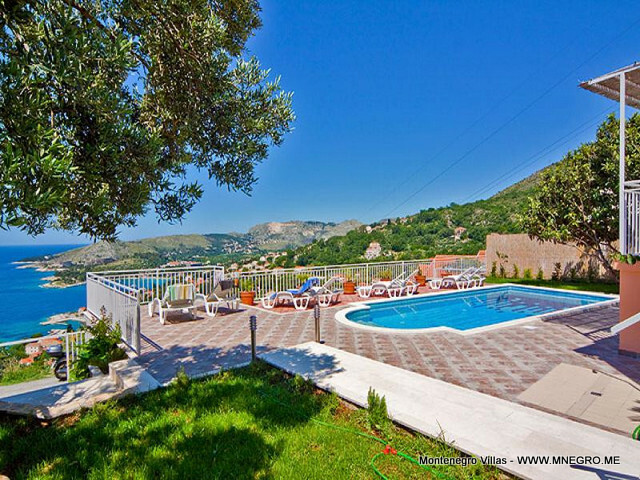 In front of charming Croatia house Mlini is a pool with sunbeds and outside shower. Two double bedrooms with two bathrooms are on the first floor. Stirs leading to upper level where two single bedrooms are situated.